Eligible organisations can now receive donated and discounted versions of Office 365, allowing charities to take full advantage of the Cloud. Microsoft strives to make its software donation programme as accessible as possible to charitable organisations around the world. Globally, they give away more than $2 million worth of software to nonprofits every day. With Office Web Apps, you can open, view and edit documents right from your browser on your home computer. With each Office 365 E3 subscription, your staff can install Office Professional Plus 2013 on 5 different devices. With Microsoft Exchange Online, you can access your email, shared calendars and contacts from your PC, Mac, Smartphone or tablet without having to set up a VPN or remote access to your office. 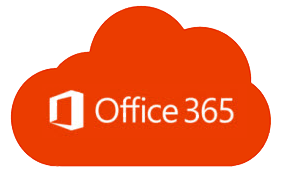 Office 365 provides users with 50GB of mailbox storage with attachments up to 25MB each. Easily share documents with your colleagues with SharePoint Online, which is like an online document repository in the cloud. You can even edit documents simultaneously with others, saving you precious time. Skype for Business is an all-in-one tool for video calls, web conferencing, instant messaging, and voice calls. With high-definition (HD) video conferencing, you can meet and collaborate with out-of-office staff and volunteers. Skype for Business includes a real-time note-taking feature so you can keep track of ideas and notes from your meetings. Along with built-in spam and malware protection for email, Office 365 also lets you add security to mobile devices. Your IT staff can manage and customise your organisation’s security options in a single console (a web-based admin centre). If your organisation deals with sensitive information, your data will be protected in the cloud. 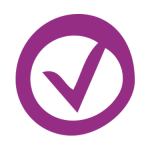 Office 365 is compliant with industry standards including HIPAA, FISMA, BAA, and others. Microsoft will provide 24/7 professional-level support no matter which plan you are on. *With Office 365 Nonprofit Business Essentials you cannot upgrade to the Enterprise plan (E1 & E3). The free offerings don’t include the full installed version of Office (which includes Word, Excel, PowerPoint, etc.). To supplement these free Office 365 plans, eligible charities can request donations of the latest version of Microsoft Office through Enclude. More information on Microsoft Office Standard donations and Microsoft Office Professional Plus donations. Alternatively, eligible organisations can upgrade to the discounted paid plans, which offer the desktop Office apps. With these plans, your staff can use Office apps on up to five devices per user. If you are registered for the ENCLUDEit Technology Programme and qualify for the Microsoft Programme, this application will not affect your cycle or allotment. You can indeed continue to request Microsoft donations as before. We help to enable non-profit organisations to give better service to more people, through the systematic and innovative use of technology. Copyright © 2017 Enclude. All Rights Reserved.